New counsellor Zara to support children from age 5 upwards. Willow Wood is expanding the reach of its counselling service with the appointment of Zara Winstanley as a Family Support Counsellor. Zara will concentrate on supporting young children from the age of five upwards through the trauma of losing a loved one, with both pre and post bereavement counselling.Zara explains: “Children often don’t have the verbal skills to let us know their feelings; in fact, often they are not even sure of their emotions as they may be experiencing loss and grief for the first time. Zara became a counsellor in 2006 and has worked with young children and families throughout her career. 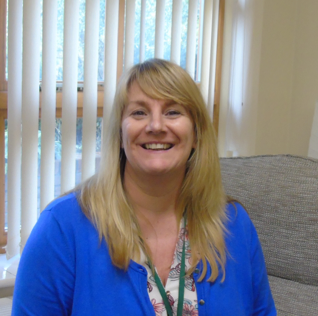 Since 2011 she has been providing a school counselling service so has a great deal of experience in her field.She continued: “Counselling the children is just part of Willow Wood’s holistic approach, and by working with the whole family we can help them adjust to their changing circumstances. “Grief can be isolating, and children are very sensitive to atmosphere within the home, and know when the adult is worried or scared.The parent may not want to burden the child, or think they are too young to understand, but it is important to be open as otherwise the child could think they are at fault and become even more concerned and apprehensive.We can help the whole family come to terms with illness and bereavement and provide mental and emotional support”. Counselling is just one of the many services offered to our patients and their families. If you, or a member of your family has been diagnosed with a life-limiting condition, Willow Wood may be able to help, and you don’t need to be referred by a medical professional.Just ring our START Clinic on 0161 330 1100 to arrange an assessment.